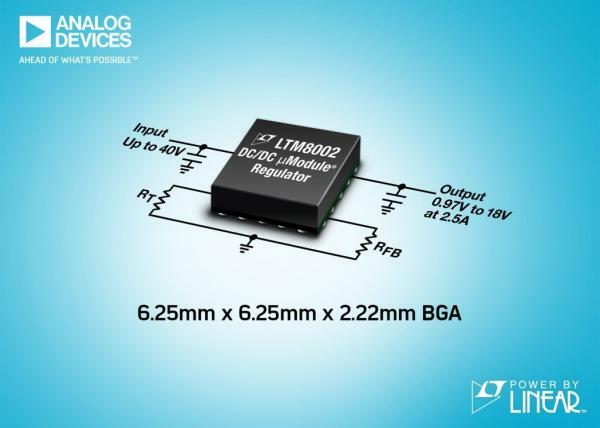 The Power by Linear LTM8002 is a step-down DC/DC µModule (power module) regulator with a 40V input voltage rating (42V abs max) and 2.5A of continuous (3.5A peak) output current, housed in a 6.25mm x 6.25mm x 2.22mm BGA package. The LTM8002 includes a switching regulator controller, power switches, inductor and other supporting components. 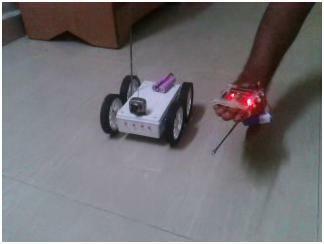 Only the bulk input,output capacitors and two resistors are required to complete the design. The LTM8002 H grade can deliver 2.8A of output current up to 105°C ambient without a heat sink or airflow under the 12VIN to 5VOUT condition. The device’s wide input voltage range, FMEA compliant pinout, high-temperature operation and small solution provide an ideal point-of-load regulator for applications requiring stricter reliability and higher durability, such as automotive and industrial equipment. The switching frequency is adjustable with a resistor or can be synchronized to an external clock from 200kHz to 3MHz to avoid interference by operating the device in or out of a system’s specific frequency or frequency range. The LTM8002 has four modes: Burst Mode operation, pulse-skipping mode, pulse-skipping mode with spread spectrum mode and external synchronization mode. The quiescent current in Burst Mode operation is 25µA, ideal for battery-operated systems, specifically for systems that require a “keep alive” function. The output voltage is adjustable with one resistor from 0.97V to 18V or fixed at 3.3V. This wide output voltage range provides the versatility of using one product to generate common system bus voltages of 3.3V, 5V, 12V and 15V. 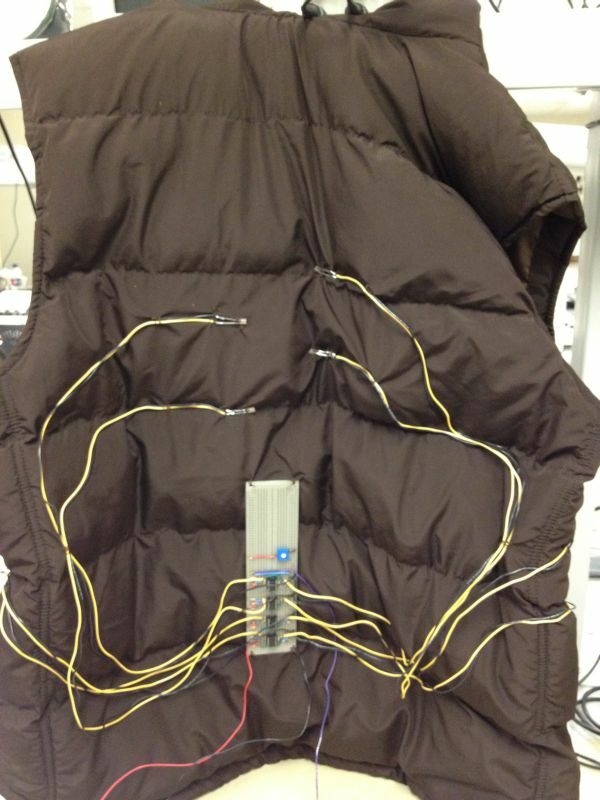 The LTM8002 is operational from –40°C to 125°C or –40°C to 150°C.